Air Chief Marshal Sir Keith R. Park, GCB, KBE, MC and bar, DFC, Croix de Guerre (Fr), Legion of Merit (US); RAF (retd); Auckland; born Thames, 15 Jun 1892; in First World War served Egypt, Gallipoli and France with NZ Field Artillery, 1914–15, and Royal Field Artillery, 1915–16; seconded RFC1917; permanent commission RAF 1919; SASO, HQ Fighter Command, 1938–40; commanded No. 11 Fighter Group during Battle of Britain; AOC No. 23 Training Group, 1941; AOC RAF Egypt, 1942; AOC RAF Malta, 1942–43; AOC-in-C Middle East, 1944–45; Allied Air C-in-C SE Asia, 1945–46. Keith Park showed a taste for adventure early in life by going to sea in one of the vessels of the Union Steamship Company. Then, early in August 1914, he enlisted in the New Zealand Field Artillery and saw active service as a bombardier in Egypt. He also took part in the original landing at Gallipoli and remained on the Peninsula until the final evacuation. He then served for some time in France, through the first Battle of the Somme, until he was wounded a second time, invalided to England, and declared fit for home service only. Undaunted, Park joined the Royal Flying Corps and returned as a fighter pilot to France, where deeds of outstanding gallantry during 1917 won him the Military Cross and bar. He had ‘accounted for nine enemy aircraft, three of which were completely destroyed and six driven down out of control’. Sir Keith was himself shot down twice, once by anti-aircraft fire and once in combat, but he continued flying and the last months of the war saw him commanding the squadron in which he had already served both as a pilot and as flight commander. By this time his battle honours had been increased by the awards of the Distinguished Flying Cross and the French Croix de Guerre. He had also been mentioned in despatches. In the years which followed he saw service in Iraq and Egypt, returning to England in 1926 to command first a fighter squadron and then the fighter station at Northolt, during which time he organised the flying programmes for the air pageants at Hendon in 1929 and 1930. Shortly afterwards he became Commanding Officer of the Oxford University Air Squadron for two years and received the unusual distinction of the honorary degree of Master of Arts for his services. 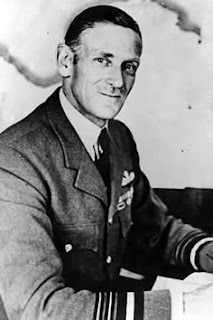 After a term as Air Attaché at Buenos Aires Park returned to England, and the outbreak of the Second World War found him serving as Chief of Staff to Lord Dowding, who was AOC-in-C Fighter Command. Then began a second period of distinguished war service, the highlights of which were to be his command of No. 11 Fighter Group during the Battle of Britain, and his brilliant conduct of air operations from Malta during 1942.